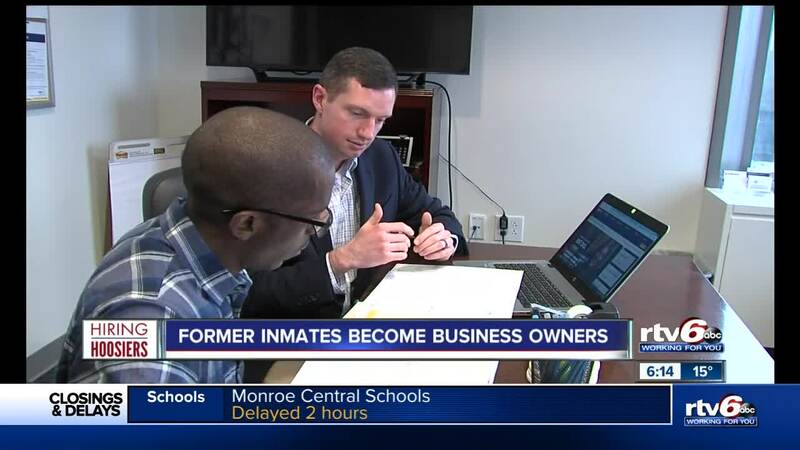 A program from the Indy Chamber is working to make the transition from behind bars to employment easier for former inmates. INDIANAPOLIS — Every year, roughly 2,500 people are released from the Department of Corrections, and that’s just in Marion County alone. One of the first things those people do is start to look for a job, but after years, sometimes even decades behind bars, that can prove to be difficult. The Indy Chamber is now aiming to make that transition much easier, by teaching the formerly incarcerated how to run their own businesses. The program — ReEntry Entrepreneurship Development Initiative (REDi) — is funded in part through a cooperative agreement with the U.S. Small Business Administration. “There’s a lot of guys in prison that have good ideas, but they don’t know how to really bring those ideas into fruition, they don’t have the guidance, they don’t have the mentors,” Michael Lacey said. Not long ago, Lacey was one of those guys. “I was 19 years old, caught up in the streets, hanging with the wrong crowd," he said. Lacey served 21 years in prison for murder. It gave him a lot of time to think about what he wanted to do once he was released. “I got involved in the REDi program, during [when] I was incarcerated, there was this program that came about," Lacey said. "It was about this re-entry entrepreneurial developmental initiative, and I’ve always kind of had this curiosity about business." Neil Metzger, the REDi program manager, says one of the main reasons people re-offend is due to unemployment. Metzger, and his colleagues at the Indy Chamber, wanted to give the formerly incarcerated the opportunity to learn how to be their own boss. “We created the program around a six-week class that goes from a business idea to budgets, to what the actual legal steps that you need to take to launch a business, and then also providing free one-on-one business coaching with anybody who is interested in it,” Metzger said. So far, REDi has helped launch 7 businesses, and trained around 500 people. “We’re able to offer programming that’s not in most communities to the population that doesn’t see tons of support so we’re trying to make sure everybody has an opportunity to be successful,” Metzger said. Success is exactly what Lacey is focusing on. He’s launched Fort Goat Film and Photography.